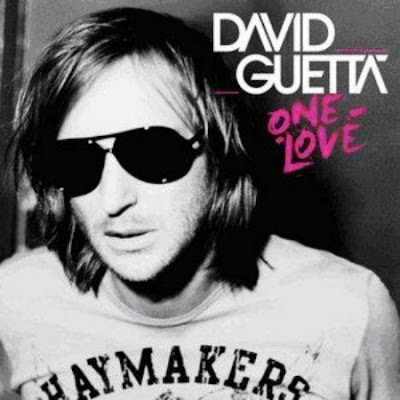 I was able to spin David Guetta's latest album, One Love, today and it exceeded all of my expectations! This is one corker of a Pop/Techno/House album, well suited for any party-flavored occasion! I must admit that I was a bit worried when I heard who some of his collaborators were, including Kid Cudi, Estelle, former Destiny's Child member Kelly Rowland and Hip Hop/R&B star Akon. I was a little worried that Guetta, the famous French DJ/producer, had gone all soft on us and went 'commercial'. Well, not that he wasn't commercial before because his songs are so damn catchy, but I was a little concerned that he was stepping away from his roots and headed in a R&B direction. After one spin, that is so NOT the case. This is pure, upbeat and exhilarating House music with some damn fine vocalists adding a new twist to Guetta's signature style. For proof, just check out the videos below. Music this catchy and uplifting is really hard to resist! One Love is thoroughly entertaining and highly recommended!